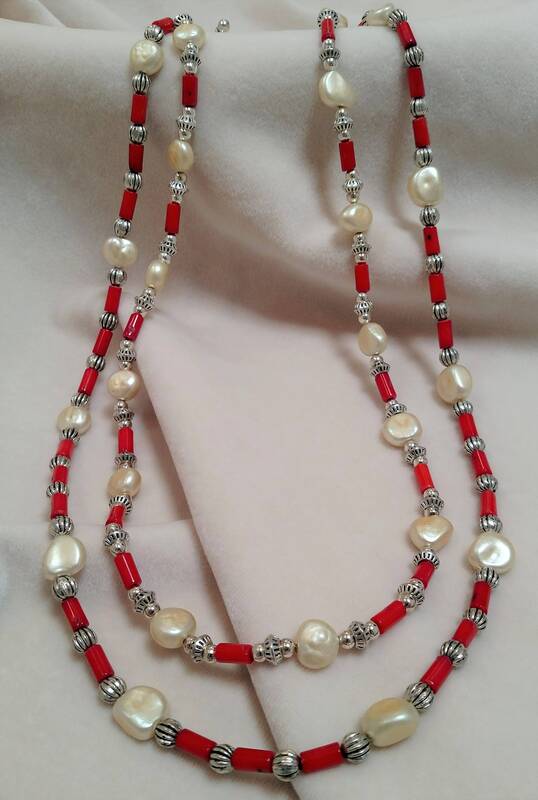 Oooh!, the luster of the pearls is so beautiful. 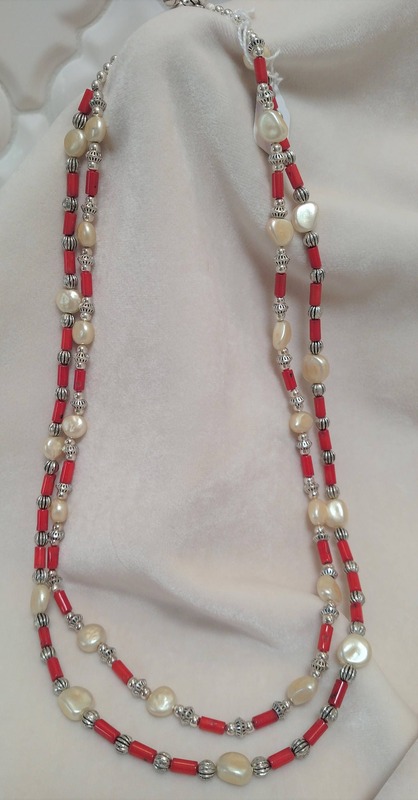 This necklace marries gorgeous pearls with red coral and the combination is ever so elegant. Two strands of elegance in fact! Now priced to sell. 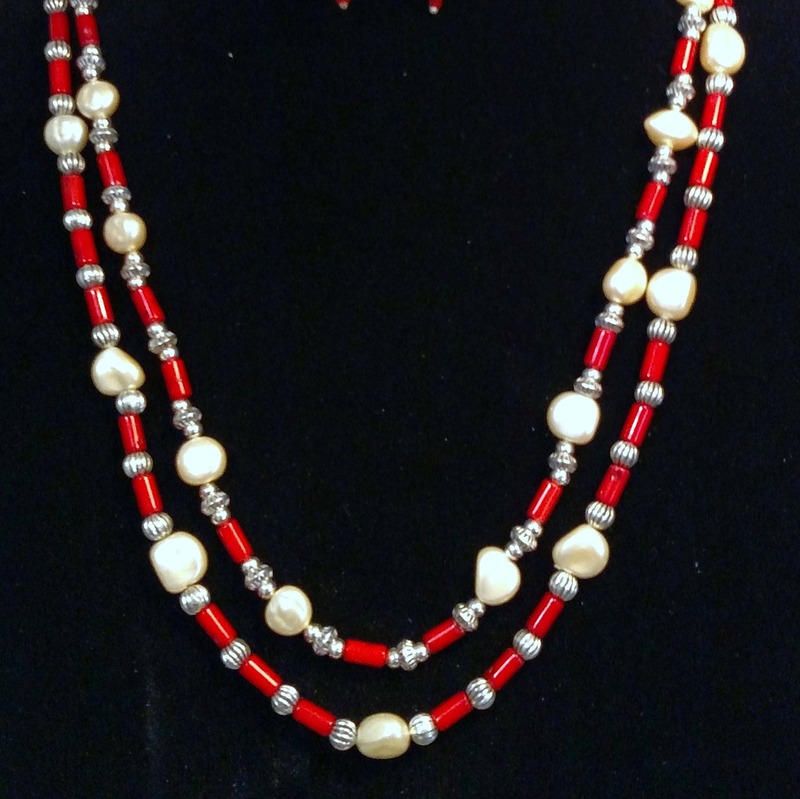 Also, there are earrings to match this necklace; check out Earrings #28 in the Earring Section.